Garden windows are basically a type of bay window that is used in kitchens, typically over a sink, with a glass panel overhead in addition to the sides. They are called garden windows due to the fact that they are often used to house plants, flowers or herbs along the window sill, with the sunlight streaming down upon them. They not only add functionality (they provide the perfect space for a small indoor garden! ), but they are attractive and provide a unique and interesting architectural design. Garden windows add more light to a room and also provide a feeling of spaciousness. They also provide a nice ledge on which to house plants or other items, with direct exposure to the sun. The bottom ledges are made from a water resistant material to handle any excess moisture caused by setting plants on top of the sill. They can also provide great ventilation, since they typically have casements on each side of the window that open up and can catch breezes, directing air into the kitchen. Finally, garden windows are attractive and eye-catching. How Are Garden Windows Installed? Like other types of bay or bows, garden windows jut out from the exterior wall of the house, making a room look and feel more spacious. They are often comprised of three window panels that are fused together – a stationary center panel and casement windows on each side, although the make-up of the windows can differ. Most garden windows also include glass overhead to let in even more light. 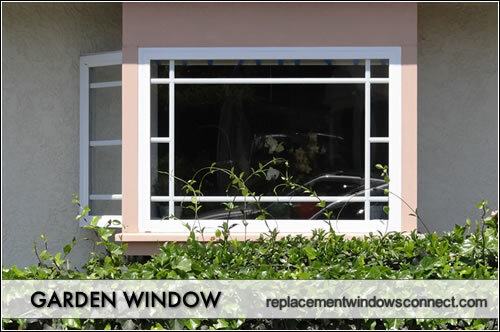 You can install new construction garden windows if you are opening up the wall, or you can opt for replacements to fill a space that already exists from another type of window. Most garden windows are constructed with vinyl window frames, although some manufacturers may offer other window frame materials as well. For added insulation, the vinyl frames can be foam filled. The corners of each frame are fused together to create an airtight and weather-tight seal. This adds to the energy efficiency and moisture resistance of the window. The overhead glass panel is stationary and is typically sloped to allow water to run off. Some models have curved glass panels that eliminate the need for extra framing between the window panes. Vinyl is a low maintenance, easy-to-care-for option for windows. The windows usually come in basic colors, such as white, beige, or brown and can be kept looking good with just an occasional hosing off or wiping down of the vinyl. Vinyl frames are also energy efficient and moisture resistant – an important feature for a window that will be in close proximity to water and humidity from plants. 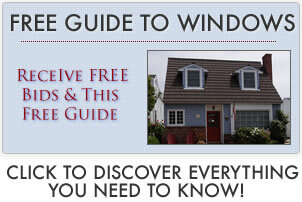 Read more on how to maintain your home windows.